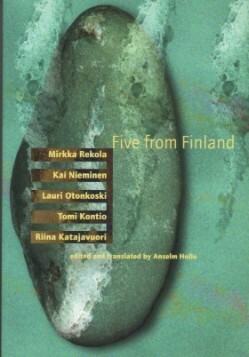 RIINA KATAJAVUORI, born 1968, has published three collections of poetry in Finland, including Weightless Space (1998). She also made her debut as a novelist with Riot Girls, a story of teenage girls in contemporary Helsinki (1999). TOMI KONTIO was born 1966. His first collection of poetry won the J H Erkko prize as the best first book in 1993. He has also written lyrics for a rock group, a collection of short stories and a novel, Chasm, and a collection of poetry, In the Sky's Treetop (1998). MIRKKA REKOLA's numerous collections include I Love You, I Tell Everyone (1972), Who Reads With You (1990) and The Sky's On Duty (1996). LAURI OTONKOSKI, born 1959, writes poetry intermingling different registers of language and using irony and parody – including in the collections Grey Dog’s Rondo (1992) and Black Was White (1995). KAI NIEMENEN's satirical writings in poetry and prose have been collected in Serious Poems (1997). ANSELM HOLLO (pictured right), born in Helsinki in 1934, was a poet associated with the Black Mountain and Language schools of poetry in the USA. In 1989 he was appointed Professor in the Writing and Poetics Department of the Naropa University in Boulder, Colorado. His collections include Corvus (1995) and AHOE: And How On Earth (1997). 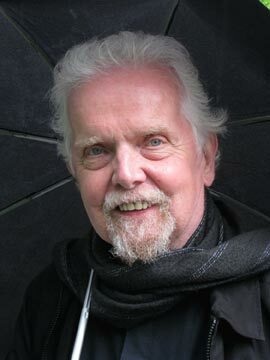 Anselm Hollo died in 2012. Funding from the Finnish Literature Information Centre, the Finnish Institute in London and the Arts Council of England gratefully acknowledged. This very belated review appeared in 2009.